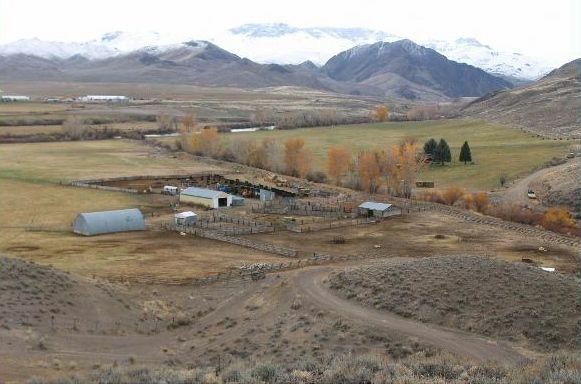 A conservation easement purchased by the Wood River Land Trust has preserved 487 acres of ranch land along two miles of the Salmon River north of Challis. The Ellis Ranch in Custer County will be preserved for farming, ranching and fish and wildlife habitat. "It is important to protect lands along the Salmon River so that agriculture can remain viable and fish and wildlife habitat can be preserved" said Keri York, the director of conservation for the Wood River Land Trust. According to a news release from the Land Trust, the ranch provides valuable habitat for big-game animals like deer, elk and antelope, and is also home to upland game birds and waterfowl. The easement will also help protect floodplain and streambank habitat. "This easement will help protect sensitive habitat that it is important for salmon and steelhead species, while maintaining the ranch's historic agriculture assets and its scenic values," York said. The area offers several public access points for fishing and hunting that are managed by the Idaho Department of Fish and Game, and the property will continue to serve as a working cattle ranch. For more information about the Wood River Land Trust, see www.woodriverlandtrust.org or call 788-3947.